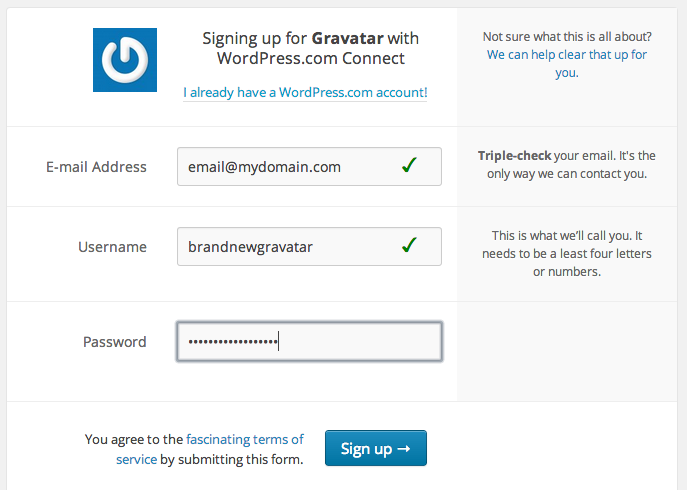 Getting started with Gravatar is easy; you'll need to have a WordPress.com account and then authorize that account to connect to Gravatar. You'll see a sign in window that will appear and ask for your WordPress.com account information. If you have a WordPress.com account, please enter that information here. (You'll then be asked to authorize Gravatar for your account.) If you don't, please click Need an account? to register for a new account. Now, we'll send you an email to confirm your address. You won't be able to use Gravatar until you click on the link in that email. The email will come from WordPress.com, not Gravatar. Click on the Activate Account button to finish the process. 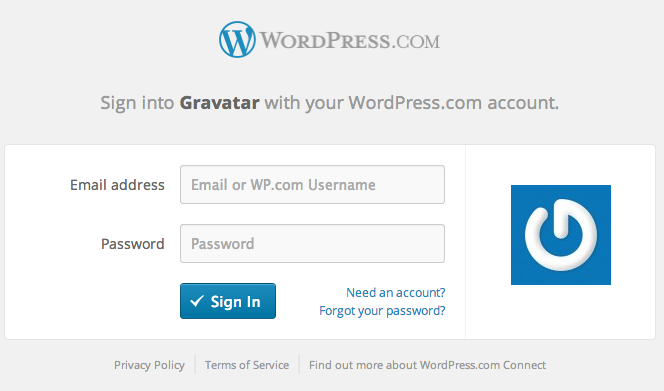 You'll be taken back to WordPress.com where you'll see a message thanking you for confirming your email and asking you if you want to head back over to Gravatar. Click the Sign In to Gravatar button to do that. We'll log you in to Gravatar automatically.